Traditionally, knowledge in medicine was considered an exclusive domain of medical professionals. Patients were passive subjects that listened to a diagnosis while hardly understanding it and followed, or not, the instructions they were given by the doctor. Nowadays, an attempt is made to provide patients with enough basic medical knowledge to allow them to interact with the doctor, take decisions about their health and avoid making mistakes that could have serious repercussions. One of the subjects discussed at the 2016 European Health Forum Gastein (this Forum is an annual gathering organised by the European Commission in Bad Hofgastein, Austria, to discuss subjects related to health which affect European countries) was health literacy or, otherwise known as, the ability to access the relevant information for one’s own health or that of society and to be able to understand and assess it. It refers to the understanding of what the doctor tells the patient and the information contained in the patient information leaflets that accompany drugs. It also refers to the ability of identifying whether the information on health in the media is reliable, understanding the information on food labels and also participating in activities which improve health and well-being. 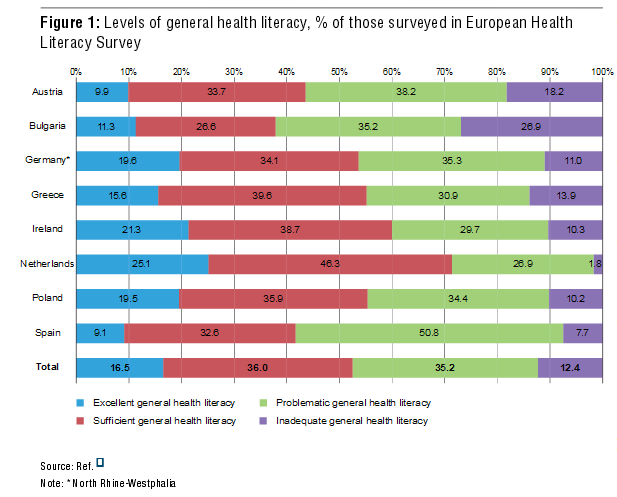 The first European Health Literacy Survey (HLS-EU) was carried out in the summer of 2011. Eight states from the EU took part and the questionnaire centred around three aspects (health care, disease prevention and health promotion) and in four of the phases in processing and informing (access, understanding, assessment and application). While in the Netherlands 70% of the population have sufficient or excellent knowledge, in Spain, this percentage is 41,7% and it is the area with the highest percentage of problematic situations (50,08%). Similar studies done in the United States indicate that a lack of health literacy carries risks, puts the breaks on the self-management of an illness and increases medical visits and hospital admissions and therefore, the expenditure on health. Health literacy is not parallel to the degree of literacy in general. For example, the consumption of homeopathic products, the resistance to vaccination, or the belief that transgenic products are harmful for one’s health are widespread attitudes in some well-educated sectors with a high cultural baggage but which have a mistaken or biased knowledge of certain subjects on health. Unfortunately, these people believe they are well informed and are probably the population group where it will be most difficult to eradicate this type of illiteracy. 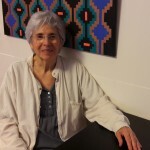 Post written by Mercè Piqueras (@lectoracorrent), biologist, science writer, science editor and translator, president of the Catalan Association for Science Communication in the period 2006-2011. What are the SISCAT atlas of variations all about? At present, if you live in the region of Terres de l’Ebre and need to be operated on to have a knee replacement, it is quite probable that the type of technique used is one which preserves the posterior cruciate ligament. On the other hand, if you go and live in Girona, the chances of having the same kind of knee replacement will be a lot less, but in contrast, the type of technique chosen will be that of stabilising the posterior. If you live in Girona and have respiratory difficulties susceptible for home-based CPAP treatment (continuous positive airway pressure), you will more likely be prescribed this therapy than if you live in Lleida or the Terres de l’Ebre. If you live in Lleida, in contrast, there is more probability of you being prescribed oxygen therapy at home than if you live in the Terres de l’Ebre region and suffer from some kind of respiratory disease that could benefit from this treatment. And if you live in the coastal neighbourhoods of Barcelona you will more likely be prescribed mechanical ventilation at home than if you live in a neighbourhood situated further inland for those respiratory ventilation disorders that might need this technique. Why does this happen? There is no evidence to suggest which type of intervention is most suitable and it is simply the fact that the health professionals of one region are more inclined than those of another to choose one technique over another. This variability reveals the existence of schools linked to certain hospital centres that condition the choice of the type of intervention or technique used. 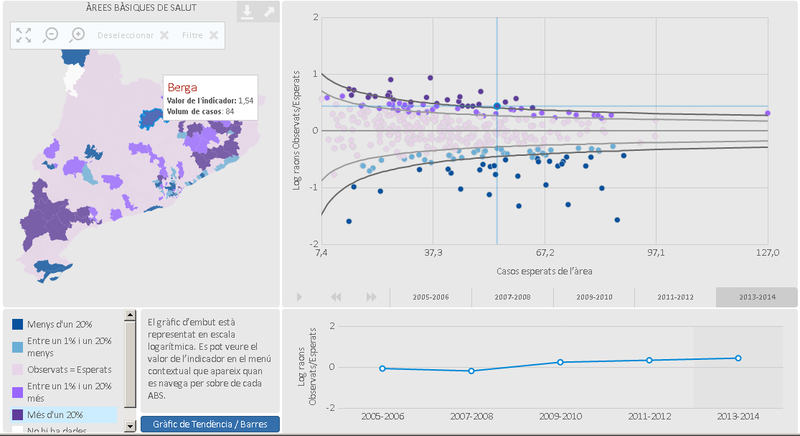 This is the type of information that the Atlas of variations in clinical practice of the Catalan Healthcare System (SISCAT) make available to health professionals and the entire population, and which has been led and developed by AQuAS since 2011. The aim of these atlases is to identify, describe and reduce the variability that can lead to increased well-being, quality and an improvement in the use of available resources. Up to the present, 7 atlases have been developed in which the variations in hip and knee arthroplasty operations have been analysed, as well as the variability in home-based respiratory therapies (oxygen therapy, mechanical ventilation and continuous positive airway pressure), the variation in intravenous thrombolysis in patients with ischemic stroke and the variability and in renal replacement therapy in patients with chronic kidney failure (haemodialysis, peritoneal dialysis and kidney transplant). One of the sources of data for this study, in fact, the most widely used, is the basic minimum group of data obtained at the time of a hospital discharge (CMBD-AH, the Catalan acronym) where the results are presented as activity rates, reasons for standardised uses and variability statistics. The methodology that lies behind this initiative can be seen here. The basic strategy of all the analyses is to compare the rates of use (numerator: for example, hospital admittances) of the inhabitants in a region (denominator: for example, basic area of health), regardless of the centre where patients have been treated or admitted. In addition, both the rates and the reasons for use are reflected in maps to better visualise the data which is another interesting point nowadays. Apart from all this, it is important to stress that all the atlases include actions and recommendations for planners (Health Department), insurer (CatSalut), providers and professionals, and which have been developed by a unique team of experts with whom the results of the atlases are discussed. This year, we have decided to take another step forward and convert the publications we have had till now in a static format (PDF), into dynamic publications that facilitate greater interaction with the data and, therefore, a more global view of the clinical practice analysed. Next year, you will be able to know whether there are variations in the Catalan territory regarding hospitalisations for back surgery, in the repair of abdominal aortic aneurysms and in gastrointestinal cancer surgery (esophagus, pancreatic, liver, stomach and rectal cancer). We cannot end this post without thanking all the speakers that made the presentations seminar of the Atlas of variations in clinical practice of SISCAT possible last 21 November, and especially to Enrique Bernal-Delgado, the key professional in the analysis initiative and in mapping the variations of clinical practice in the Spanish National Health System. As far as AQuAS is concerned, it is one of our work lines which was begun some time ago now which has recently generated publications such as this article on respiratory diseases and this article on kidney disease. And I ask myself, …. now that we have the tools to identify and describe the variability in clinical practices which are carried out in Catalonia, why don’t we try and explain them? The atlases of variations in clinical practice of SISCAT are a key tool to ask ourselves questions. Post written by Laura Muñoz, statistician. 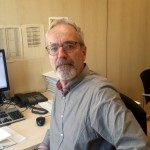 With his passing away, Dr Joan Rodés (1938-2017) will be remembered by many people in person, and in many fields, for those who had the good fortune to know him as a doctor, researcher, manager and assessor (of politicians), as his was a life full to the brim. No matter which professional activity he took part in, and with the responsibilities he took on throughout his life, he left his mark and the accolades expressed these days are a clear demonstration of this. To AQuAS (originally AATM), Joan Rodés has been an exceptional figure and I say this without any rhetoric whatsoever. When the Agency was created in 1994, he presided its scientific board of assessors and at the end of 1999, when the institution became known as Catalan Agency for Health Tecnology Assessment and Research (CAHTA), in Catalan Agència d’Avaluació de Tecnologia i Recerca Mèdiques (AATRM), he presided its Administrative Board, a position that he held till 2010. It was in that period (2000-2006) that, due to my responsabilities within the Agency as Managing Director, I was able to get to know this great personality more closely, very much a big strong fellow (in Catalan, a homenot) was Joan, as Josep Pla would say. At that time, we saw each other often, and I had frequent exchanges with him, aside from the more or less termly meetings of the Administrative Board. I did this in that minute office of the haematology services and later in that of the General Manager at the Hospital Clinic. I said this because of his role of facilitator as highest representative of the Agency giving constant support to the activities it carried out, but also because of his extensive experience and network of relationships that contributed to giving strength to many initiatives that were then being undertaken, especially in the field of research and its assessment. I was able to discuss this with him on many occasions at a later date, and I never once perceived an interventionist or managerial attitude; quite the opposite, always with a laissez-faire approach where each one had to do their assigned task (the technicians and managing director of the Agency, the scientific board and the administrative board) while facilitating that of others. It has always been a great pleasure for me -a privilege better said- to have maintained contact at dinners and get-togethers, even during the last period in which his respiratory illness worsened, but he would still go to IDIBAPS from time to time despite this. I cannot end without saying that during those times when we would talk about any and everything (medicine, science, politics, society, the past, present and future) we had a really good laugh. Then as now that you have left us, you are and will very much be in my thoughts. We begin the year by saying a big thank you. 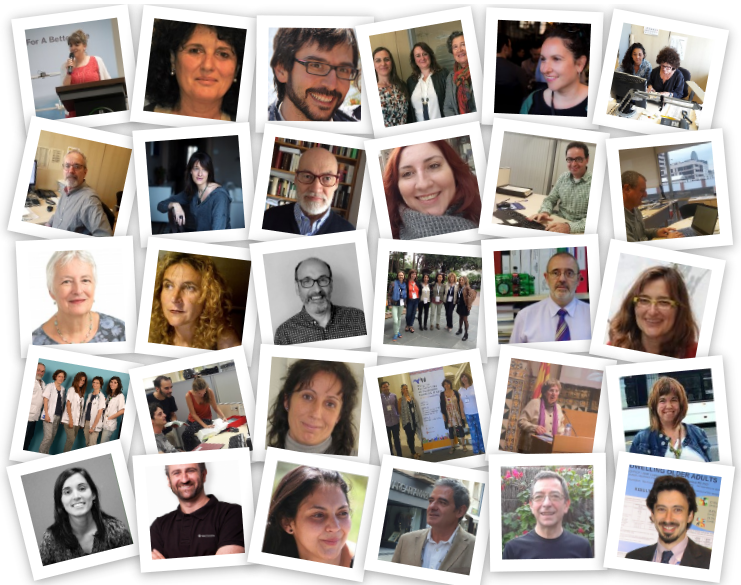 In 2016, those who collaborated in the AQuAS blog were: Frederic Llordachs, Veva Barba, Gemma Bruna, Elena Torrente, Cari Almazan, Emili Vela, Montse Mias, Lluís Bohígas, Cristian Tebé Cordomí, Neus Solé Peñalver, Montse Moharra, Aline Noizet, Mercè Piqueras, Josep Maria Monguet, Gabi Barbaglia, Joan Escarrabill, Cristina Ribas, Carme Carrion, Verónica Vélez, Astrid Batlle, Andrea Aldemira, Sílvia Ricart, Esther Lasheras, Olga Valsells, Joaquín Gascón, Angela Coulter, Arantxa Catalán, Anna Càrol Pérez Segarra, Núria Prat, Roser Vallès, Dilmeza Osorio, Johanna Caro, Iris Lumillo, Oscar Garcia, Luis Rajmil, Andrea Molina, Diego Mena, Jose Expósito, Vicky Serra-Sutton, Dolors Rodríguez Arjona, Joan MV Pons, Esther Vizcaino Garcia, Mireia Espallargues, Laia Domingo, Noemí Robles, Sandra García-Armesto, Enrique Bernal-Delgado, Hortènsia Aguado, Anna García-Altés, Dolores Ruiz Muñoz, Santi Gómez, Laura Mónica Pérez, Marco Inzitari, Liliana Arroyo, Maite Solans, Toni Dedéu and Marta Millaret.